On October 26, 2018, KazMunayGas International (KMGI) and the Energy Participation Management Company (SAPE), owned by the Romanian Ministry of Energy signed the association agreement establishing the Romanian-Kazakh Energy Investment Fund. The establishment of the investment fund is stipulated in the Memorandum of Understanding between the Romanian State and KMGI (former Rompetrol Group). The Romanian-Kazakh Fund envisages an investment level of about $ 1 billion over a seven-year period. 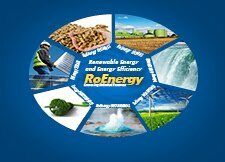 The shareholder structure of the investment fund that will carry out projects in the field of energy is: KMGI - 80% and the Romanian state - 20%.